Wando Earns Berth to Nationals! 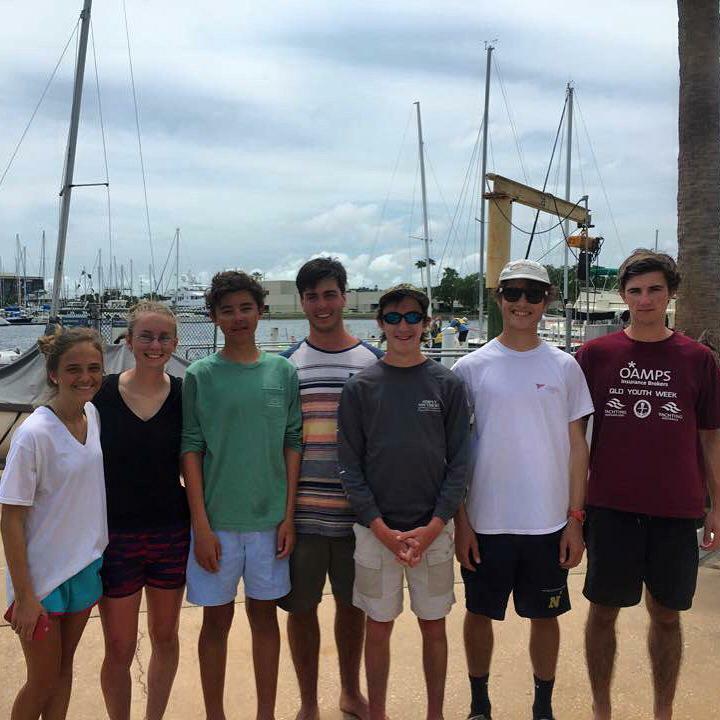 Congratulations to the Wando Sailing Team who qualified for the ISSA High School Doublehanded Championship. After winning the North Points district elimination series, Wando competed in the SAISA District Qualifier that was held in St. Petersburg, FL this past weekend along with James Island Charter High School and Academic Magnet. Only two other North Points teams have been able to make it to Nationals – James Island High School in 2008 and Academic Magnet in 2000. North Point teams that qualify must compete against the South Point teams for a qualifying spot. 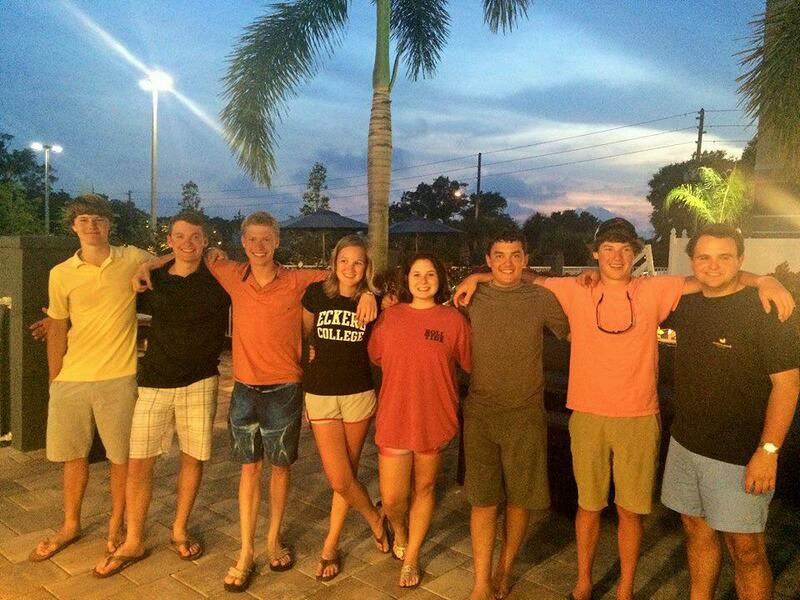 (Teams are comprised of FL and the Caribbean) This past weekend, 7 Wando sailors did it! The team is coached by College of Charleston All-American sailors Becky Bestoso and Ben Spector who are not only great coaches but are also greatly appreciated friends and mentors to all of the team members and their parents. We are so proud of you guys! Wando High School Sailing Team that is headed to NATIONALS! 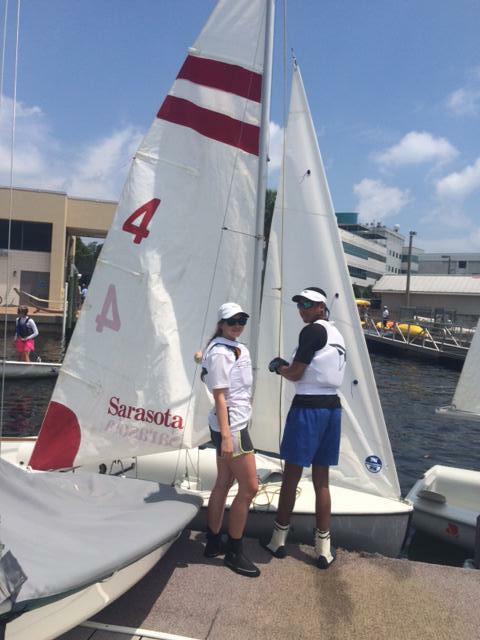 Academic Magnet High School Sailing Team sailing at Districts, April 2015.